Balmoral 3ft Double thickly padded Designer Headboard – chrome studded border. Height;- 27 inches high above your mattress. 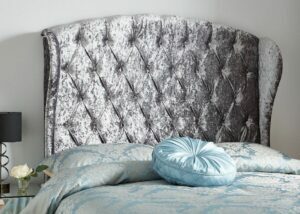 This Luxurious Headboard would add an element of class and style to any bedroom in the household. 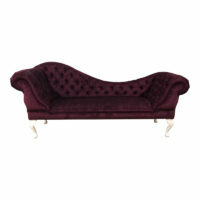 Finished in Superb Quality Fabric and contemporary, stylish buttons to complete its sumptuous look. 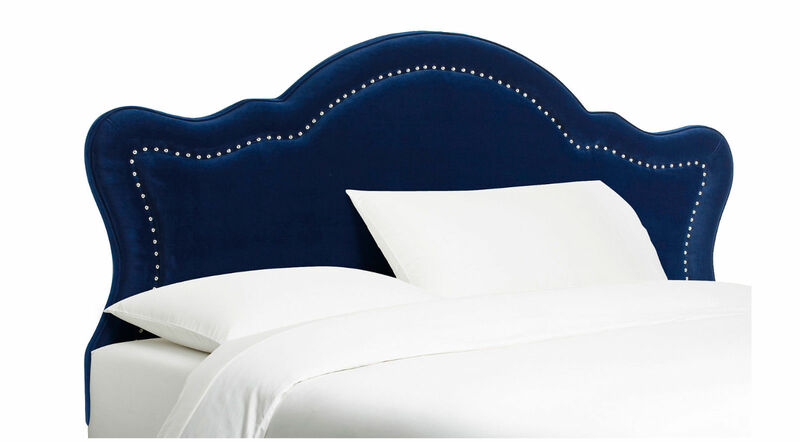 This headboard will become the new focal point of your home. This model comes with sturdy wooden struts to attach to the back of your divan base. 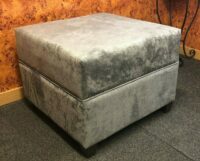 (If you have ordered a Chaise, ottoman or footstool from us, and would like to have the headboard in the same fabric – please send us an email after purchase. All of our furniture is manufactured to the highest standards right here in the UK, by our highly skilled team of craftsmen and women. Their experience and impeccable attention to detail results in a finish which is simply a cut above the rest. Bertie Winged 3ft Double thickly padded Designer Headboard. Height;- 35 inches above your mattress. 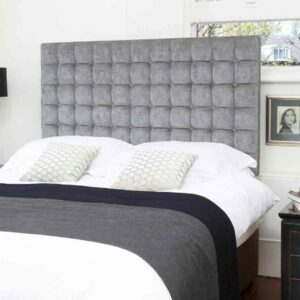 Balmoral 4ft6 Double thickly padded Designer Headboard - chrome studded border. Height;- 27 inches high above your mattress. Bertie Winged 5ft Kingsize thickly padded Designer Headboard Height;- 35 inches high above your mattress. 3ft Double thickly padded Designer Headboard - chrome studded border. Height;- 35 inches high above your mattress. 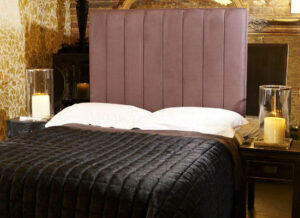 5ft Kingsize thickly padded Designer Headboard - chrome studded border. Height;- 35 inches high above your mattress. 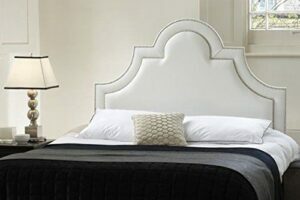 Balmoral 5ft Kingsize thickly padded Designer Headboard - chrome studded border. Height;- 27 inches high above your mattress. Bertie Winged 4ft6 Double thickly padded Designer Headboard Height;- 35 inches above your mattress. 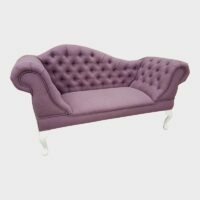 The UK’s Leading Chaise Longue Specialist, stocking many Chaise designs and various other items of furniture including Slipper Sofas, Chairs, Ottomans, Footstools and Headboards.